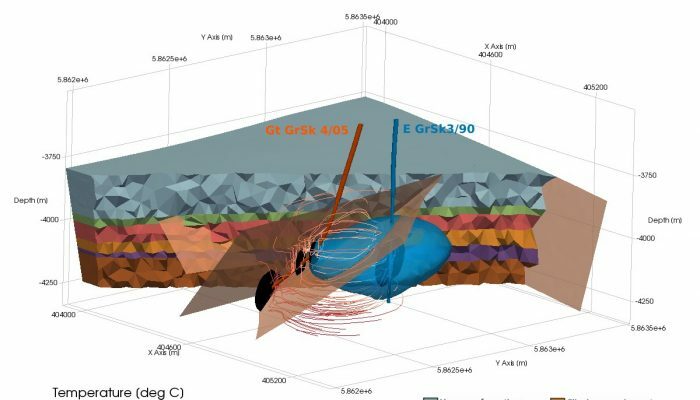 Numerically simulating production in geothermal reservoirs: application to the Groß Schönebeck deep geothermal facility. Producing deep geothermal energy involves using a well, which can be several kilometres deep, to extract hot water in the aim of using its heat to generate electricity or for industrial applications. The well is drilled into what’s called a geothermal reservoir; rock containing empty space, or porosity, which allows the passage or storage of fluids. Sometimes hot water is already sufficiently present within the geothermal reservoir, but often cooler water is pumped into the ground via an injection well in the aim of collecting it once it has been heated. The combined use of an injection and a production well is called a doublet and is a common method of exploiting geothermal energy. During the production or it is important to understand what is happening to this water as it is being injected, how much we can expect to get out at the other end and how hot it will be! This involves modelling the movement of the water, the transfer of heat and the mechanical stress and deformation of the rock, all of which are interconnected by coupled, highly non-linear equations. Antoine Jacquey, of German Research Centre for Geosciences, Potsdam is a PhD student working on methods of reservoir engineering. In his 2016 paper, “Thermo-poroelastic numerical modelling for enhanced geothermal system performance: Case study of the Groß Schönebeck reservoir” demonstrating an improved version of this method, which takes into account the change in porosity as the rock deforms, Antoine Jacquey and his colleagues applied these new techniques to the Groß Schönebeck geothermal facility. The Groß Schönebeck geothermal reservoir is located just north of Berlin, Germany, and is home to an injection/production well doublet. These wells are used as an in situ laboratory for investigating deep sedimentary structures and fluids under natural conditions. The reservoir, at 4-4.1 km depth, is made of up Elbe base sandstone which has a porosity of up to 10 %. Antoine and his co-authors apply the thermo-mechanical modelling techniques to simulate 100 years of geothermal production at Groß Schönebeck, providing insights on the longevity and productivity for similar geothermal sites. The latter are dependent on temperature drops in both the reservoir and the extracted geothermal fluids which occur as a cold water front moves outwards from the injection well (see Figure above). They find that the injection of cold water enhances the porosity and permeability (the ability of the rock to transmit fluids) which in turn increases the amount of cold water propagating through the reservoir, decreasing the estimated life time of the system from 59 to 50 years. Their study highlights the importance of correctly taking into account the coupling between the different thermo-hydro-mechanical processes. Antoine Jacquey is currently a PhD student at the German Research Centre for Geociences, Potsdam in section Basin Modelling. His research interests include numerical modelling of coupled thermo-hydro-mechanical processes, deformation of fractured systems and localized and diffused deformation in porous reservoir rocks. Mirny mine, a former open fit diamond mine, now inactive, located in Mirny, Eastern Siberia, Russia. 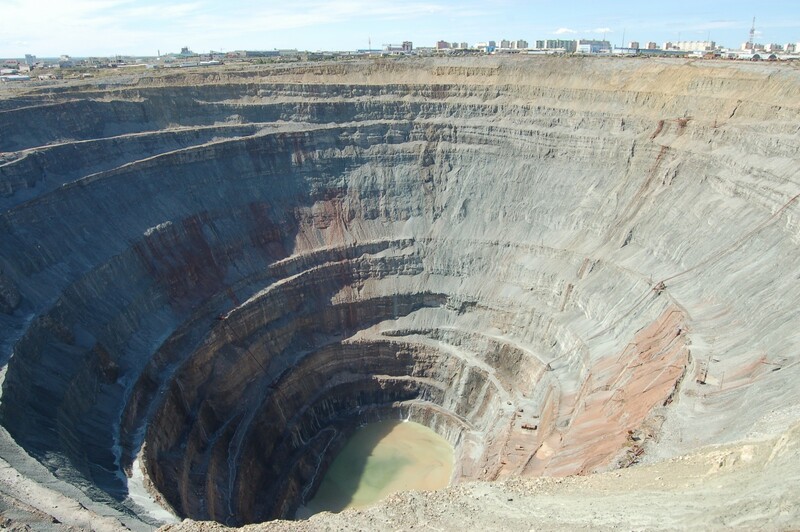 The mine is 525 meters deep (4th in the world) and has a diameter of 1,200 m, and is one of the largest excavated holes in the world. . The Scorpion and the Frog. This old tale, which was first documented by the movie Mr. Arkadin by Orson Welles, reports a scorpion that wants to cross a river… and asks a frog for a ride. Embarking on a lose-lose situation, both the frog and the scorpion are doomed in the tale. Dramatic, this fable severely resembles how humans conduct their quest for resource extraction. Surface mining, a particular type of resource extraction, is devastating. It involves strip mining, open-pit mining and mountaintop-removal mining and accounts for more than 80% of ore mined each year (Ramani, 2012). Surface mining disturbs the landscape and impacts habitat integrity, environmental flows and ecosystem functions; it raises concerns about water (Miller and Zégre, 2014), air and soil quality (Mummey et al., 2002), and often also public health. Legacies of surface mining may include loss of soil structure and fertility, altered hydrology, and long-term leaching of contaminants from tailings and end-pit lakes (Isosaari and Sillanpää, 2010; Li, 2006; Ramani, 2012). A new study debates the possible routes to deal with the legacies of surface mining. In a first instance, the authors revisit the terms remediation, reclamation, restoration and rehabilitation (R4) and clearly distinguish them in terms of the end-goal. While remediation is a more technical term and aims at removing pollutants and avoiding human exposure to them, restoration proposes the full recovery of the original ecosystem, prior to mining. Although frequently claimed as the end-goal, restoration may often not be feasible because of a myriad of constrictions. To find out more about how the R4 is differentiated and where surface mining will likely happen in the future, check out the full study by Dr. Lima and her co-workers here. Dr. Ana Theresa Lima is an Adjunct Assistant Professor at the Ecohydrology group, Department of Earth and Environmental Sciences, University of Waterloo, Canada, and a Visiting Associate Professor at the Department of Environmental Engineering, Universidade Federal de Espirito Santo, Vitória, Brazil. 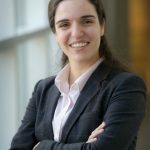 Her research interests include electrokinetics, urban soils and the impact of human activity on them, organic and inorganic pollution and possible remediation techniques, and environmental policy. Isosaari, P., Sillanpää, M., 2010. Electromigration of arsenic and co-existing metals in mine tailings. Chemosphere 81, 1155–1158. Ramani, R. V., 2012. Surface Mining Technology: Progress and Prospects. Procedia Eng. 46, 9 – 21. Take a deep breath… Or not! Air pollution from open burning of straw nearby residential area. We all know that pollution, of any kind, is not good news and that it may lead to health risks. 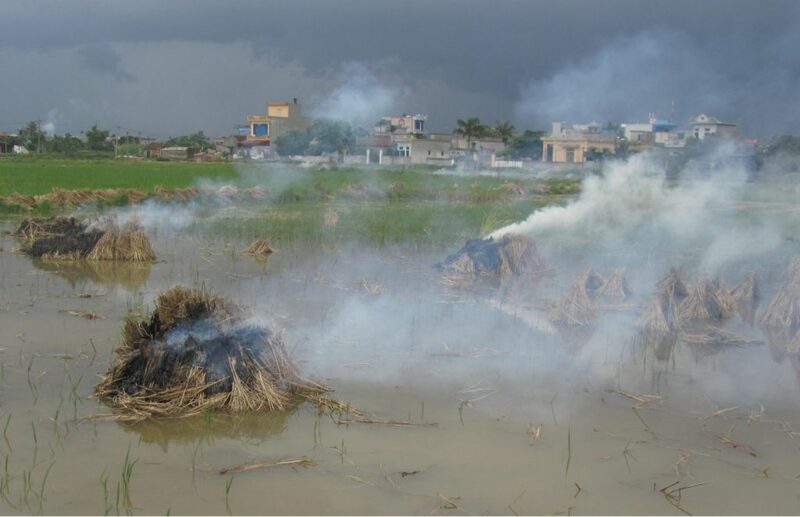 Air pollution, such as smog, is something many large cities experience, especially in low- and middle-income countries. The World Health Organisation reports that “As urban air quality declines, the risk of stroke, heart disease, lung cancer, and chronic and acute respiratory diseases, including asthma, increases for the people who live in them.” But how do these health risks impact premature mortality? A recent study on air pollution in urban areas in India has estimated that fine particulate matter (i.e. very small airborne particles released by various sources, such as fossil fuel or organic matter burning) exposure has lead to over half a million premature deaths. Though this number was not obtained by studying who actually died from air pollution, but rather via statistical extrapolation of data obtained in less polluted areas, the study suggests that air pollution in India leads to about 3.4 life years lost. Read the whole article by Chelsea Harvey in the Energy and Environment section of the Washington Post here. In the Wednesday morning debate “Is global economic growth compatible with a habitable climate?” issues of sustainability in a consumptive world were tackled. The four panellists agreed that the goal set by the COP21 meeting in Paris of limiting temperature rise to 1.5°C is unrealistic. Historically, fossil fuels have been necessary for economic growth and now even more difficulties arise from the need for resources to find resources. During the debate, concerns were raised over the conspicuous consumption of the developed world and how people are generally more interested in what happens now rather than in the future. Jorgen Randers, author and professor of climate strategy at the Norwegian Business School, believes there is a need for short-term rewards to entice people into more sustainable solutions. He gives the example of electric cars in Norway and how the government removed taxes on their purchase to make them a more economically rewarding option. When it comes to the minerals we now rely on, the easiest sources have been found and are either already tapped out, or are well on the way. The current challenge is how to locate and extract these resources from deeper under the Earth’s surface, since even perfect recycling of what we already have would not be able to keep up with current demands. The current question is whether it is possible to do this in a way that is socially, economically, and environmentally responsible. In his talk Monday afternoon, P. Patrick Leahy of the American Geosciences Institute introduced the idea of “resource colonialism” that is often associated with mining of resources in developing countries. Dr. Leahy is involved with the International Union of Geological Science (IUGS) “Resourcing Future Generations” initiative. This planning group aims to improve understanding of the demand, discovery, extraction, and social impacts of future global mineral needs. According to Edmund Nickless, Chair of The IUGS New Activities Strategic Implementation Committee and former Executive Secretary of the Geological Society of London, there is a need for a social contract that ensures fair distribution of wealth. If you think you have a solution to this global issue, the IUGS currently has an open call for small funding proposals. The deadline for proposals is 31 May 2016 and more information can be found here. Welcome to the blog of the Energy, Resources and the Environment (ERE) Division of the European Geosciences Union (EGU). The main goal of the division Energy, Resources & the Environment (ERE) is to be a leading forum on discussions regarding the provision of adequate and reliable supplies of affordable energy and other resources, in environmentally sustainable ways. The blog is run by Sian Loveless and Suzanne Hangx. Those wishing to contribute to the ERE blog can submit a post here.